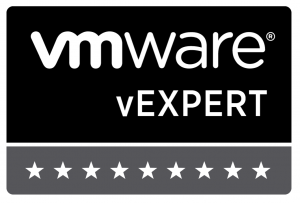 I was very pleased to discover today that VMware are continuing their generous gift of a Workstation license for people who pass the VCP4 exam (VCP410). And, since Workstation Version 7 was recently released, it is going to be a version 7 license. On a related note Vmware also confirmed this week that they will retire the VCP3 exam on 31/12/2009. Also after that date VCP3 certified people will have to take a course first if they want to take the VCP4 exam. That doesn’t leave much time for anyone wanting to upgrade their certification. Make sure you book your exam soon. If I wasn’t so tired I’d be jumping for joy, it’s a weight off my mind though, that’s for sure.